Dealing With Drought - Times Standard interviewed Mark DuPont and Dan Mar for a two part series on Permaculture Drought Strategies. The Mid Klamath Community Foodsheds Program has a new website with over 60 pages of information, charts, calendars and links on growing food in the Klamath Trinity region. Klamath Knot Permaculture on the Airwaves - Check out Mark DuPont and Dan Mar's interview on Permaculture Drought Strategies with Dan Ehresman on the Econews Report. Food Forests - Check out our new pages on Creating a Food Forest, a step by step process from planning to planting. 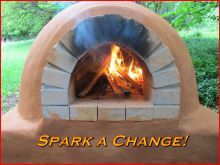 Permaculture is the design and creation of human habitat that mimics the complexity and resiliency of natural systems. The Klamath Knot is a uniquely diverse bioregion encompassing Northwestern California and Southwestern Oregon, defined by the Klamath River, the Klamath-Siskiyou Mountains, and the Coast of Northern California and Southern Oregon. One of the most biologically complex temperate bioregions on the planet, it includes the coastal fog belt, hot interior canyons, and the most diverse conifer forests on the planet. Klamath Knot Permaculture is an affiliation of Permaculture practitioners, based at Sandy Bar Ranch on the Klamath River, and the north coast of Northern California, working to create resilent homes and communities by restoring watersheds and developing alternative technologies that reduce our carbon footprint. 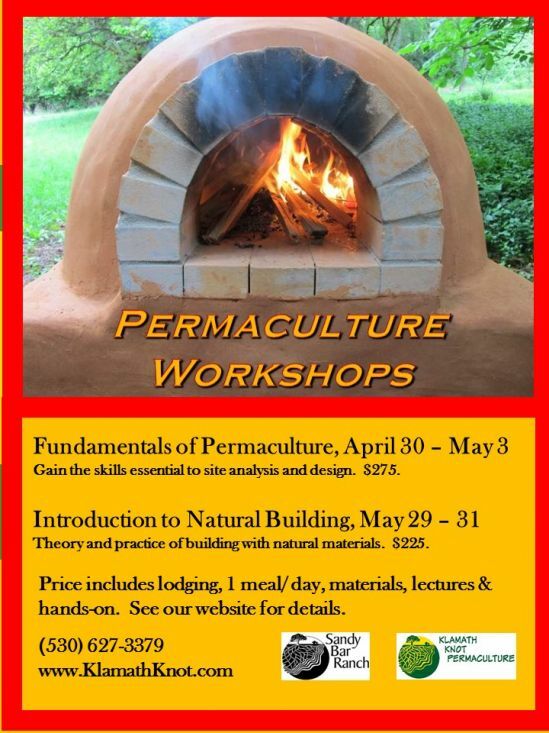 We sponsor ongoing events in Permaculture topics, including Permacuture Design Certification, natural building, sustainable farming, site analysis and design, water systems, mycoremediation and more. Here is the handout from Mark DuPont's Grafting Demonstration/ Workshop.